The Black Island was the next adventure of Tintin. The story began with Tintin enjoying a morning walk when a plane landed in a field and Tintin was shot at. Later in hospital he realised that there was some connection between the attack and England. While he was on his way to the coast by train, Tintin was framed for attacking a passenger and arrested by Thomson and Thompson. He obviously escaped from their clutches and made a dash for the coast by taking a lift in a red truck. This was a Hanomag HA 4500. 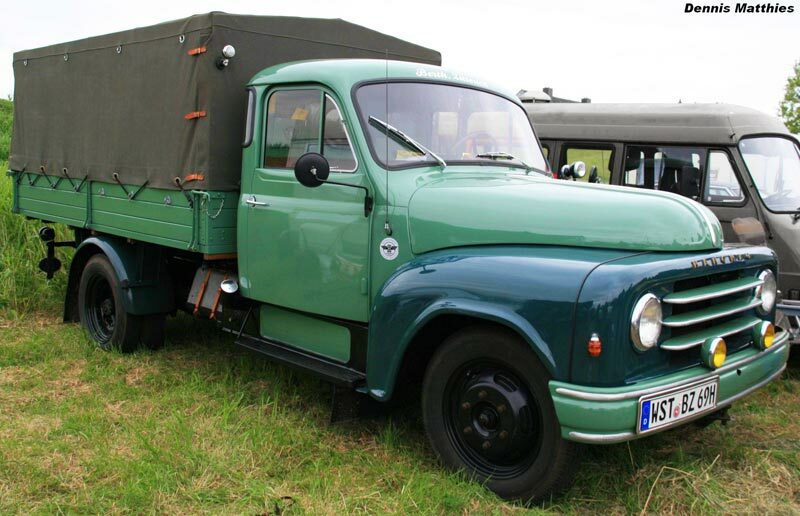 Military version of the same truck was known as the AL 28. Hanomag was a German company. Its full name was Hannoversche Maschinenbau AG or HANOMAG. This company was founded by Georg Egestorff in 1835 at Linden near Hanover as the Eisen-Giesserey und Maschinenfabrik Georg Egestorff. Initially this company manufactured steam engines, farm machinery and steam locomotives. They started manufacturing road going steam wagons for the German Army in 1905. In 1912 they started manufacturing petrol engined tractors. First Hanomag road car was launched in 1925. The car was the Hanomag 2/10 which was an open two seater with a 500 cc rear mounted engine. The car did not do very well and in order to overcome the financial duress, the locomotive division was sold to Henschel and Son in the late 1920s. The Great Depression followed and though the company was second only to Opel in sales, it was financially in trouble. As a result the company was mortgaged to the city of Hanover and Vereinigte Stahlwereke trust. The company was now renamed as the Hanomag Automobil und Schlepperbau GmbH in 1931. 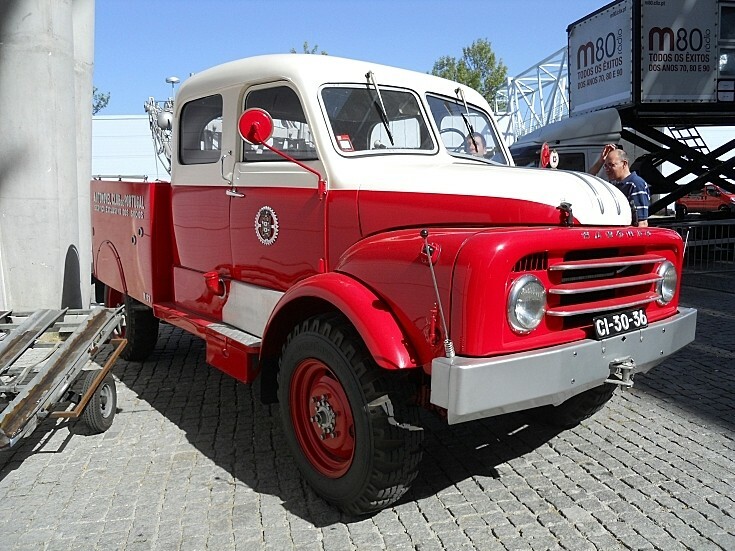 During World War II the Hanomag manufactured military vehicles for the German Army which included a number of trucks, tractors and half tracks for the German Army. The most famous vehicle produced by the company was the “Hanomag Half-track” which was officially the Sd.Kfz. 251 Half-track which was used to transport the Panzergrenadier Mechanized Infantry Forces. Around 15,000 of these vehicles were built. These vehicles were the precursors of the modern Armoured Personnel Carriers of today. 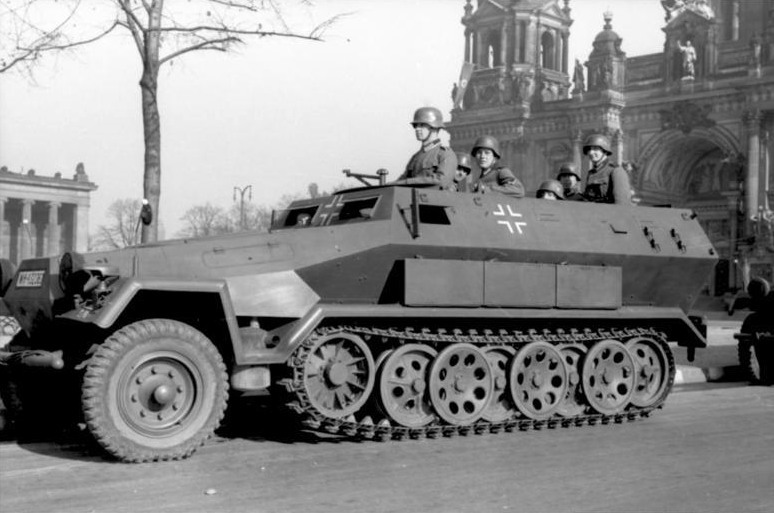 Though the Hanomag was slower than the equivalent Allied vehicle, the M3, it could protect against 30mm weapons while the the M3 could not provide protection against 7.92mm weapons when fired at close range. 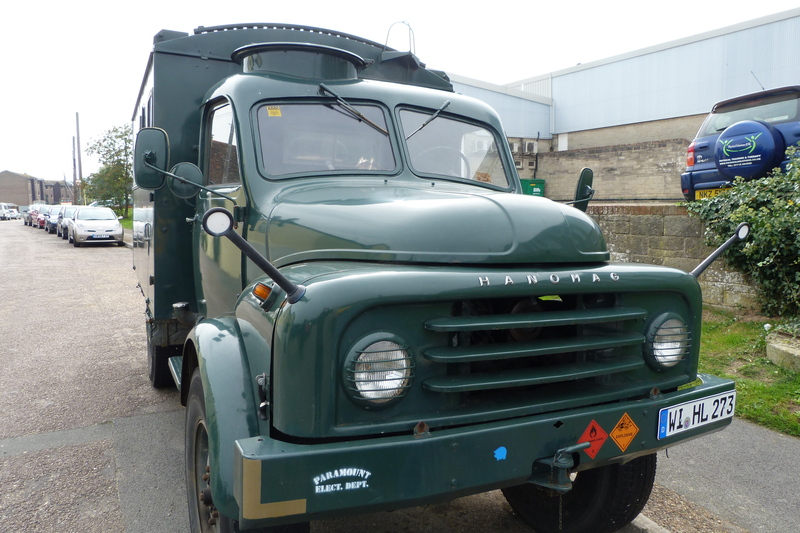 Post war Hanomag produced only commercial vehicles. In 1964, in a reversal of the takeover of the 1920s, Henschel was merged with Hanomag. In 1969, the company sold the tractor division to Massey-Ferguson and truck division to Daimler Benz. Only equipment being still branded as Hanomag is the earth moving equipment being manufactured as a subsidiary of Komatsu. 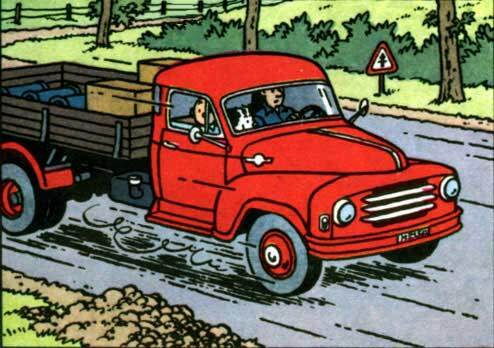 Coming to the Hanomag HA 4500 in which Tintin took lift. These trucks was manufactured in the sixties till early seventies. They were powered by a 2,780cc diesel engine which produced 70 BHP. The HA 4500 were both four wheel drive as well as rear wheel drive while the military version AL 28 were four wheel drive. The Gross Vehicle Weight was 5,360 kg. They had a load carrying capacity of 7.5 tons. 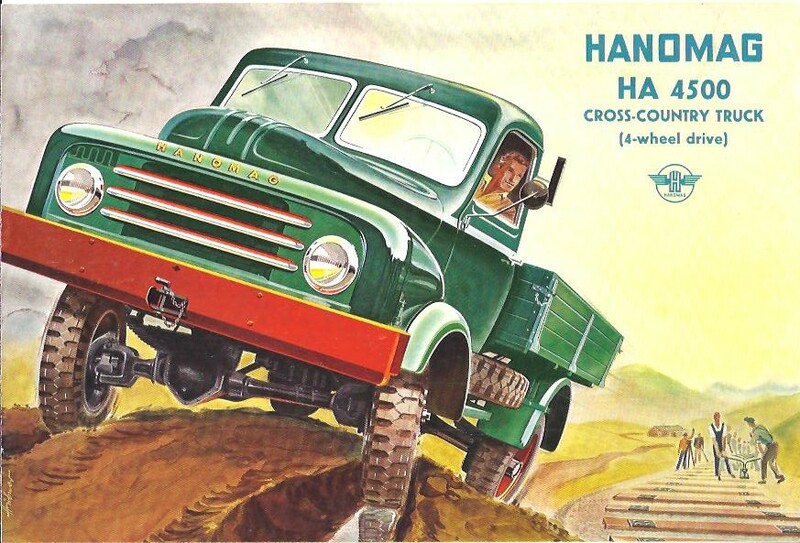 The Hanomag is a L28, your designation ’HA 4500’ was never used by Hanomag in Germany. The AL28 (A for ‘Allrad’, as in all-wheel drive) has a markedly different bonnet and wheel fenders (semi-circular as opposed to rounded trapezoid on the L28), i.e. rides much higher, and the whole vehicle has much more ground clearance, sitting significantly higher on the road. It is NOT a military vehicle (German army wasn’t permitted by the occupational forces in those days), but was mainly used by German Federal bodies, i.e. the border guards, the civil defence, and the heavy rescue service. It was also used by state bodies of various German states, i.e. police and fire services. I’ve spoken to one of the gentlemen testing the vehicle for the government; he was in the police force of the state of Hamburg then. Thanks. Such inputs do add to my repository of information.